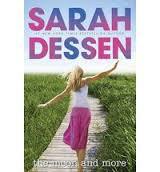 A tense and moving journey through the lives of Carey and younger sister, Jennessa. They have spent their lives living in the woods, in an old camper van, mostly waiting for their drug-addicted mother to come home. This speaks eloquently of survival, loss and hope. 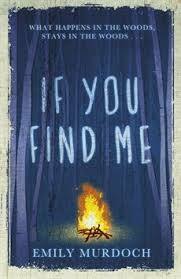 Utterly gripping, it explores who we are as human beings and what to lengths we will go to protect ourselves and those we love. Extraordinary read! If you haven't read this yet, you simply must. If you have, please read it again! 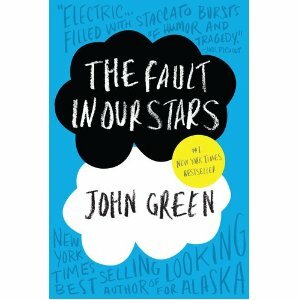 John Green writes with such truth and honesty in the voice of young people. He's got it all exactly right. So, don't stop with this one...also read: Paper Towns, An Abundance of Katherines, Looking for Alaska. 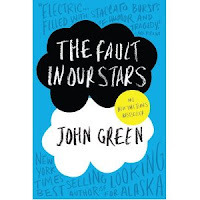 Basically, if it's got John Green's name on it... read it. You won't be sorry. If you have a real fascination with the Titanic, or if you simply want a read that pulls you through the lives, thoughts and feelings of people... you must read this. 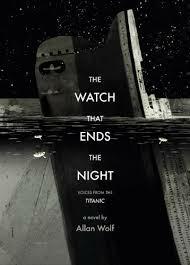 Beautifully written, it gives an intimate portrait of the lives behind the tragedy and a stunning recreation of that fateful voyage that spans all those on board, passengers and crew... regardless of rank or class. Compassionate, evocative and with an incredible ring of truth; you'll feel like you are right there. This is one you'll want to keep and reread many times. Mio steals the family's ancient heirloom katana, a sword that has been in her family for generations. While she believes she's just playing dress-up, the katana unleases an ancient evil onto the streets of modern day London. Gods and monsters of Japanese myth are stalking her and her friends. If she can't control the sword and it's powers... Mio looses everything. Brilliant mythological work from the pen of Marriott who has given us such wonderful books as: The Swan Kingdom, Shadows on the Moon and Frostfire. Incredible and truly awesome read! Calum Challenger spends his days tracking down mythological creatures and capturing their DNA. He and his friends are on a mission to save these beasts from extinction. But an aggressive, powerful pharmaceutical company has other plans... and they are using Calum to track the creatures and wipe them out once and for all. 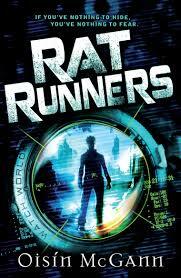 Fast-paced, gripping, exciting work from the author of the Young Sherlock Holmes series. This is a classic adventure story in the style of H.G. Wells, with a contemporary twist. Love it! This one is an absolute gem... an older favourite of mine. 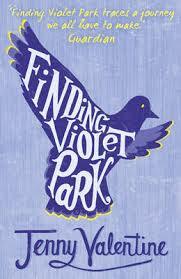 When 16-year-old Lucas Swain finds an urn of ashes in a local cabbie's office, he becomes convinced that it's occupant, Violet Park, is trying to communicate with him. Lucas begins a journey to discover where the urn came from and how it came to be left behind in a taxi office... but what he finds is much, much more. This was Valentine's first book... and I equally recommend all her others: The Ant Colony, Broken Soup and The Double-Life of Cassiel Roadnight. Well... there's a few more, anyway..... more coming later! So... everyone is wondering what to read over the summer; what really good books are out there for the kids? With newspapers, magazines and blogs everywhere making summer reading suggestions, I thought I'd add a few of my own for your consideration. I'll begin with a few for the 7 to 14 reader age range; and I'll add more later one. So here's the start. Some of them are new; some of them are old favourites; all of them are books I love. Right now is the time to pick up the first two in this fantastic series, because the third and final is due out very, very soon. Any fan of Percy Jackson, the Ranger's Apprentice series and, yes, even Harry Potter is absolutely going to love these books! 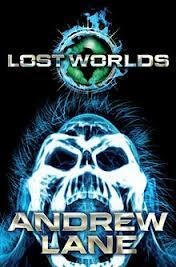 Unsuspecting Arthur Quinn's entire world is thrown into chaos with the re-emergence of Loki, the Father of Lies. And only Arthur can save all of existence from perishing at Loki's hands. (Check out the reviews on this blog and on The Bookbag). 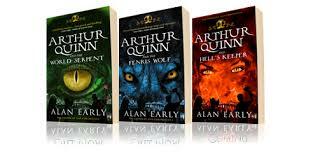 And you'll want to be ready for book #3... Arthur Quinn and Hell's Keeper. 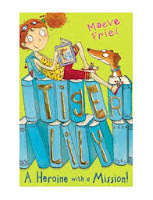 I've had a sneak preview and IT IS FANTASTIC! If you haven't read these yet, seriously; catch up now! The war is something that is happening somewhere very far away in Peter's mind; fought by a faceless, unreal enemy. It is a war that has taken his father, now gone missing with no word. In 1941, Peter rushes to the site of a plane crash in the woods near his home. Hoping to find something exciting to keep, what Peter finds is a young German pilot in need of his help. 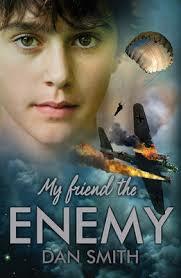 This is an exceptional story of friendship,family and true loyalty in the time of World War II. New out, this is a wonderful read; very true to life and filled with insight and conflict. 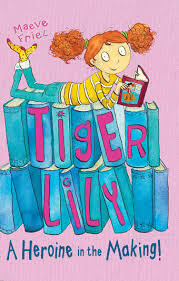 I just love this book! It's funny, heartfelt and easy to relate. Wendy Quill really, really wants to be a little bit famous. No problem! All she has to do is be a crocodile's bottom, a tap-dancing munchkin, catch the plague and save her teacher from Kevin, the school's escaped pet rat! An absolute joy of a book! 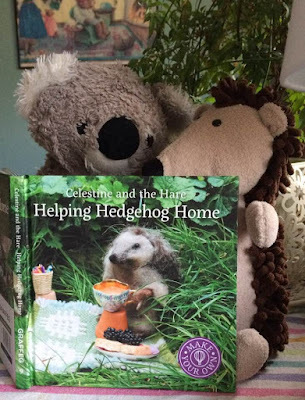 (Review on this blog) Oh, the second of Wendy Quill's adventure will be out next spring! Four young criminals are enlisted to steal a mysterious box from the daughter of a dead scientist. They must track her, spy on her, hack her computer, learn her movements and search her home... all without her ever knowing. But the city is now run by WatchWorld, with cameras and surveillance at every turn. Nothing is secret, nothing is private anymore. The four, who work in the shadows of the citys' criminal underworld soon find themselves caught in a web of intrigue, deception and murder. Will they make it out alive? Thrilling, dramatic and well-scripted novel that will leave you breathless. New out and fantastic! I highly recommend this one! Again, I strongly suggest you play catch-up with this series. Each one contains all the intrigue and suspense of the original Arthur Conan Doyle stories, with the added interest of learning how Sherlock Holmes became Sherlock Holmes...how he learned his skill at deduction. Join Sherlock as he travels the globe to solve the unsolvable....and he's a school-boy; brilliant! The sixth in the series is out in September.... and it takes place in Galway! This is one of my ultimate summer reads! A classic the needs no introduction, no review.... it is a pivotal, must-read that will remain in your heart for all time. 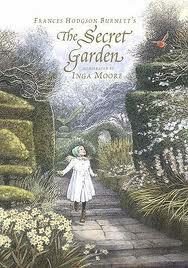 There are endless editions of this book out there, so chose your favourite and keep it forever. 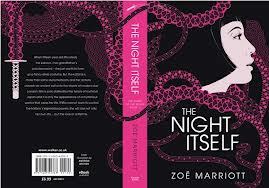 Okay... you've heard me going on and on about this book, but with good reason. It is the most wonderful book. Filled with mystery, magic and mythology; this book turned a corner in children's publishing by bringing fantasy into the limelight once again. Boldly published before the current crop of extremely popular fantasy children's books, it takes us on a brilliant journey through the timeless. There is a review on this blog, so I won't go over it again here. 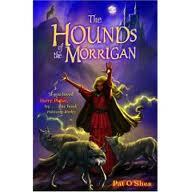 But I will remind you that Hounds of the Morrigan is currently out of print, so, if you don't already own a copy, you'll have to hunt... second-hand bookshops, libraries, yes, on-line... but it will be worth it; I can promise you that.... it all happened one summer in Galway not that long ago. A classic of Irish children's literature. I've always said the biggest joy I have in my job is the kids and their books. 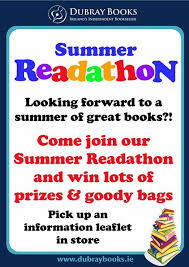 At Dubray Books (all the branches), we are hosting a Summer Readathon! I know that summer is well under way... and some of us may even be turning our thoughts towards September and the start of another school year (NNNOOOO!!!! ), but it's not too late to join the Readathon. Each week, there are goody bag prizes for the top readers of the week... and in Galway, each week we have a raffle. All the names of that weeks' readers go into a hat and a name is chosen for a free book! So whether or not you've read the most books that week, you could still be a winner. And... here's the best part.... EVERY BOOK COUNTS! That's right.... old favourites you want to read again; picture books you like to read to younger brothers/sisters/cousins/friends/yourself; comic books; graphic novels; big, fat juicy novels; chapter books; factual books; biographies; any books you may be reading in your local library for their summer reading challenge, any books you call into the shop and read to younger people; if you're reading it, I want to know..... but no magazines, newspapers or cereal boxes, please. Just pop in to Dubray Books and pick up a readathon form, fill it out with whatever you are reading and get your parents, librarians or booksellers to sign off that you've read the book. Then contact me by the end of each week with the number of books you've read. And don't forget to leave your contact details so we can contact you when you win! And come in to the shop and check out our 'Readathon Star Wall'! Why am I doing this? Personally, I'm nosey. I want to know what you guys are reading... on your won, without school, without teachers, without homework... what do you like to read? What do you choose? What are your favourites? Congratulations to Dave Shelton. Dave just tonight won the 2013 Branford Boase Award for most outstanding debut children's novel. 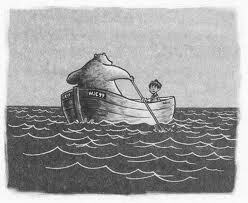 His book is the wonderful, gentle, quirky and thoughtful A Boy, A Bear and a Boat. David Fickling was also honoured for his editing with this award. The Branford Boase Award is the only award that acknowledges, not only the author for exceptional crafting of a novel, but the all-important role of the editor in nurturing new talent.